Are you looking for a career that puts you in charge of the hours you work and the money you can earn?? YES? Then a career as a driving instructor with Lanes School of Driving is the answer you are looking for. Once qualified, you can get your training fees fully refunded and earn over £30,000 a year whilst being your own boss and controlling the hours you work. Book your place NOW on 020 8290 2070 or complete this form and hit SEND. Are you a driving enthusiast who would love to have a job that offers complete satisfaction? Do you take immense pleasure from passing your knowledge and experience on to others? Do you want to make money and remain motivated by doing the job of your dreams? Lanes makes that easy for you. Watch our video to learn more about training and working as an ADI for Lanes School of Driving. Qualified ADI’s wanted immediately! Watch our video to find out how you can join our team. Lanes School of Driving can help you to earn an excellent income while helping people to get on the road. We have driving school franchise opportunities available that can change your life and make a difference to others. Are you friendly, inspiring and dedicated? Then we urge you to get in touch with us. You may have a real passion to teach, and seeing individuals learn a new skill may drive you on to succeed. If this is you, why not train to be a driving instructor? It will open the door to a new career that comes with excellent rewards. Do you have the right personality and patience to help individuals deal with anxiety and to conquer a fear? Are you well organised and professional? Do you want to change to a career that puts you in control of your life, the hours that you work and the money you can earn? If so, you have a chance to begin a new career today! Just call 020 8290 2070 to get started. Lanes School of Driving can help you to become a self-employed, Approved Driving Instructor (ADI) – do you have the ability to achieve this? 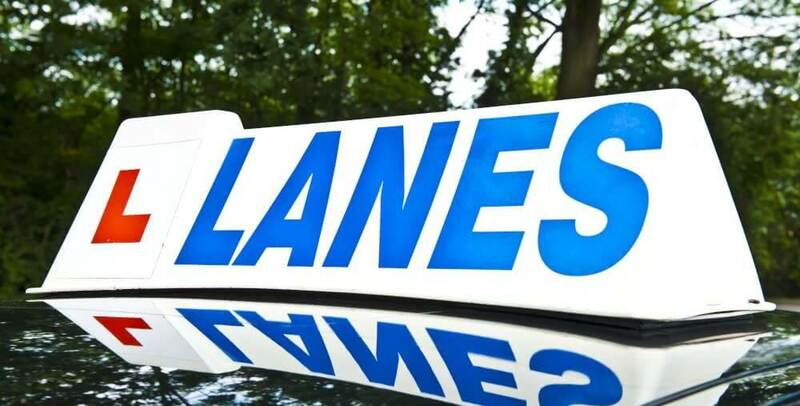 Established in 1914, Lanes School of Driving is now one of the largest and most reputable independent driving schools in the UK. Our driving instructor training is designed to develop individuals like YOU into a first class driving instructor. Our aim is to make things as simple as possible. We have a number of payment options and a great marketing strategy that is backed by our reputation. You have complete control of how much you earn – we have the pupil capacity to create a full diary of work, if desired. Developing first class driving instructors is all about creating the right environment. This will enhance the learning process and lead to better instructors. Each section of the course works by developing you into a driving instructor who possesses the skills required to become both a success and an inspiration. Once you have completed your training and have gained your full qualification you will be offered a role with us. This will allow you to get started on making your business a success, supported by Lanes School of Driving and our unbeatable reputation. Do you want a full diary and control of your earnings? If you are considering a change of career and feel that you have what it takes to become a qualified driving instructor or are already a fully qualified Driving Instructor and would like competitive franchise rates and a full diary of work then you have come to the right place. Speak to one of our helpful and friendly staff to organise an appointment with one of our trainers by calling us on 020 8290 2070.